The Chinese New Year falls on February 5 this year. While this holiday is obviously huge in China, how is it celebrated in the rest of the world? 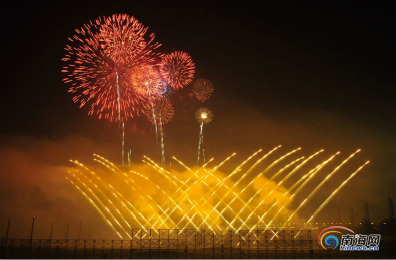 Let’s take a look at how countries around the globe ring in the Chinese New Year. Not surprisingly, the biggest places to celebrate Spring Festival in North America are those with the largest Chinese populations (华人群体，huá rén qún tǐ). Cities such as New York, Chicago, San Francisco, Toronto, and Vancouver all have large celebrations for the holiday. As a matter of fact, NYC declared the lunar New Year a school holiday in 2015, reflecting the growing population of Asian students in the city’s schools. While New York certainly throws down for CNY, nobody in North America goes quite as big as San Francisco. The city’s Chinese New Year Festival and Parade (游行，yóu xíng) is the largest Asian cultural event on the continent (大陆，dà lù), and is also one of the oldest and largest outside of Asia. London also claims to have the largest event outside of Asia, as it plays host to a huge parade starting in Trafalgar Square (广场，guǎng chǎng) and ending in the city’s Chinatown (唐人街，táng rén jiē). London isn’t the only European city that celebrates Spring Festival, though – Paris, Brussels, Amsterdam, and Rome also host events, for starters. Wherever you are in Europe, chances are you’re not too far away from a Chinese New Year parade. With one of the largest Chinese populations outside of Asia, it should come as no surprise that Sydney hosts some pretty epic (盛大的，shèng dà de) Spring Festival celebrations. Festivities span a few weeks and include outdoor markets (露天集市，lù tiān jí shì), dragon boat races (赛龙舟，sài lóng zhōu), and opera performances (戏曲表演，xì qǔ biǎo yǎn). The biggest celebrations for CNY in Southeast Asia occur in Malaysia and Singapore. Both countries have Chingay Parades (春节妆艺大游行，chūn jié zhuāng yì dà yóu xíng)– full of street performances and art. The name is derived from the Chinese term 妆艺 (zhuāng yì), meaning “the art of masquerading.” It’s quite a elaborate event, attracting thousands of people.